At quick glance, the sea at Blackpool looks like, well, just flat sea with nothing to see! But look closely and on a clear day you can actually see quite a lot, with different views across the sea. 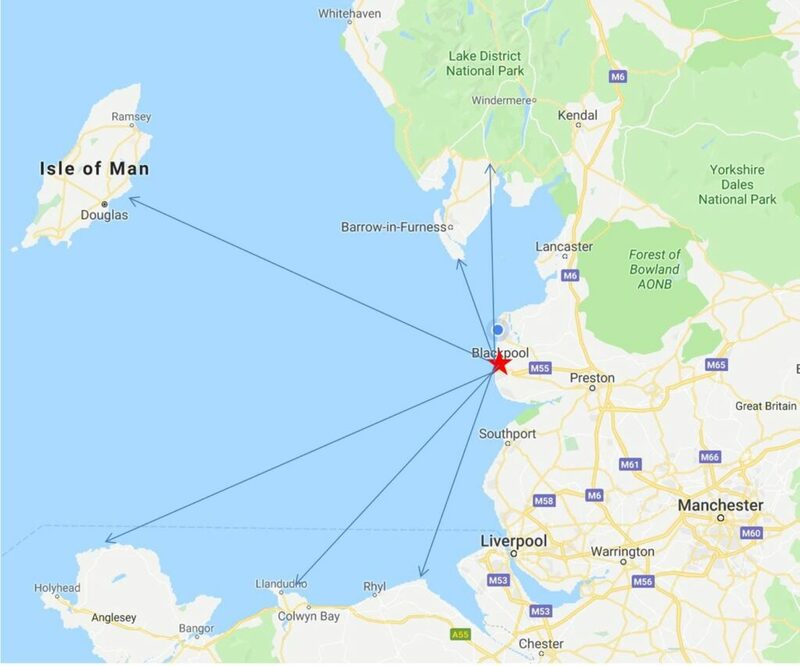 You can see some of North Wales, the Lake District and even the Isle of Man (if you’re lucky!). The strange thing is that it looks so totally different – depending on where you are stood. 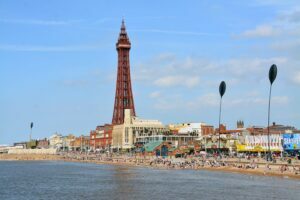 You’ll see more from the northern or southern end of Blackpool seafront than you will dead on in the centre… come with us to take a look! 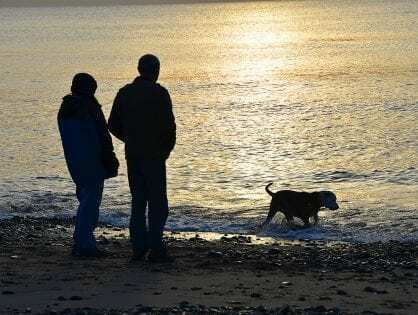 The further around the coastline you travel to the south (or left as you look at the sea) the more you’ll see of North Wales. You’ll see the hills of Snowdonia, which is the largest right hand of the humps stuck out of the water. 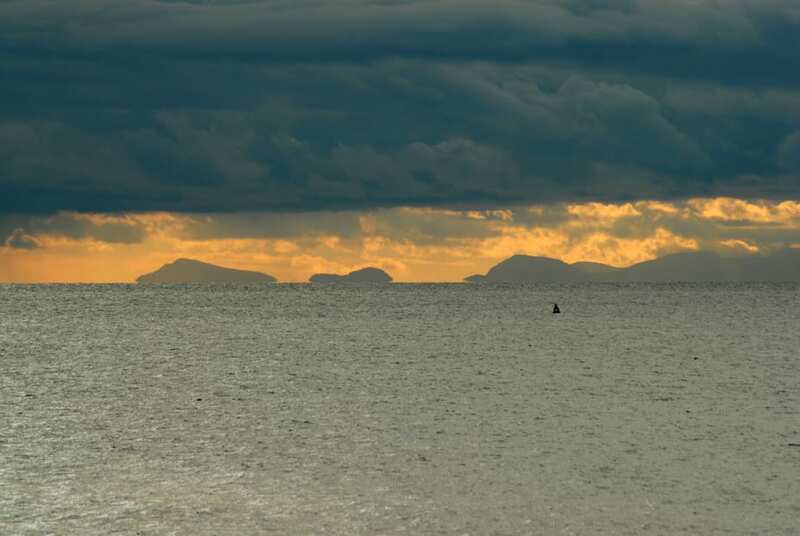 To the left of them, coming back to land, is the north Wales coastline including Prestatyn and Rhyl. The hills of north Wales look almost like the bumps of the Loch Ness Monster! Looking out to sea, at the north and towards the right hand side of the horizon, you’ll see the wind farms. 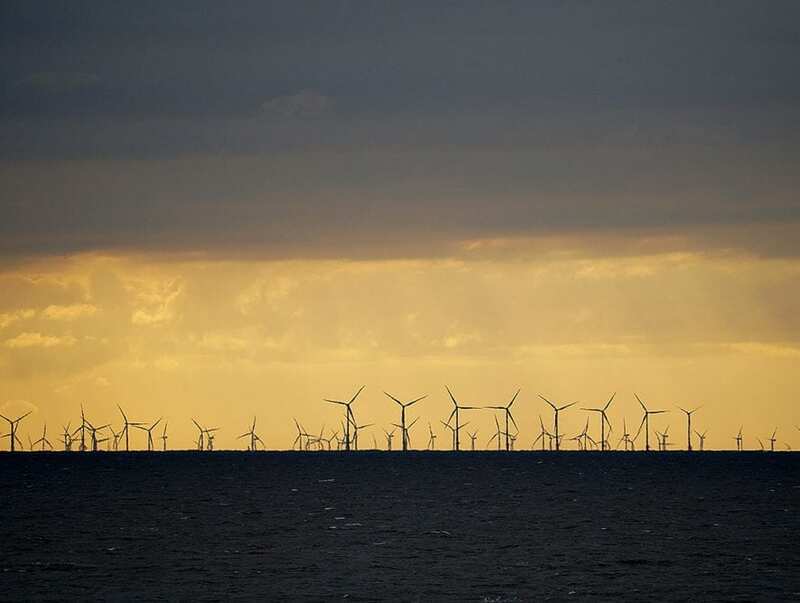 Most of it is called the Walney Offshore Windfarm – some of which is actually cabled into shore at Cleveleys. 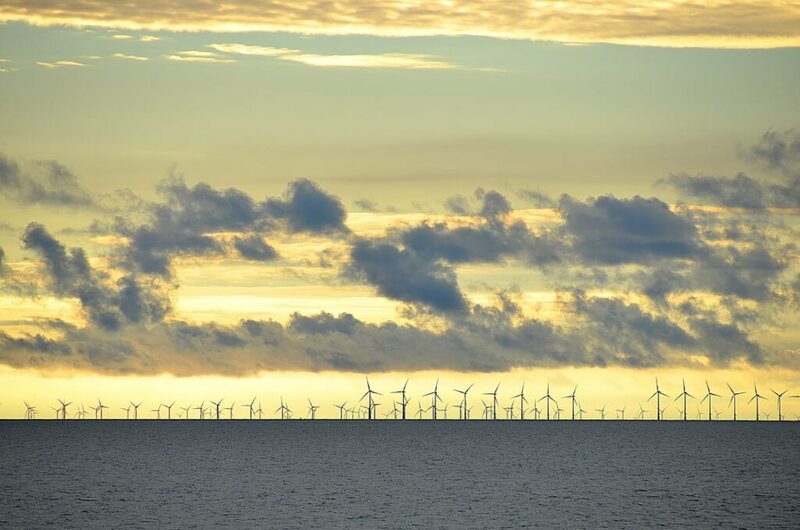 Read about the Walney Offshore Windfarm coming to land at Cleveleys here. 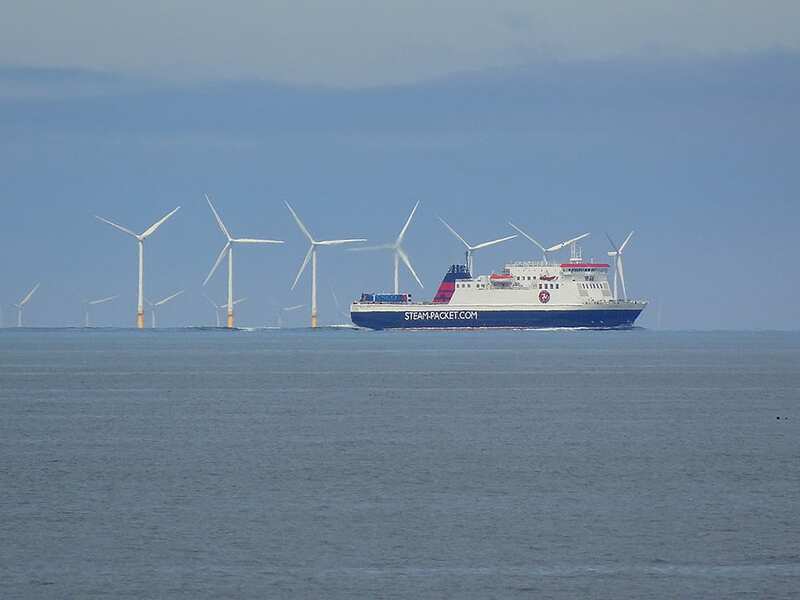 Follow sight of the wind farm as you travel northwards along the coastline and their position appears to change. You’ll see the turbines line up and then spread out. Of course it’s actually the difference in the curve of the coast which changes the view – even though you feel like you have travelled in a straight line. Further to the right of the turbines you’ll see land on a clear day. Walney Island is at the very end of the land mass. Heading inland Ulverston is next, followed by Grange over Sands. Then you can see the power station at Heysham which is the big white building. The coast then turns into Morecambe Bay, so the land goes out of view. 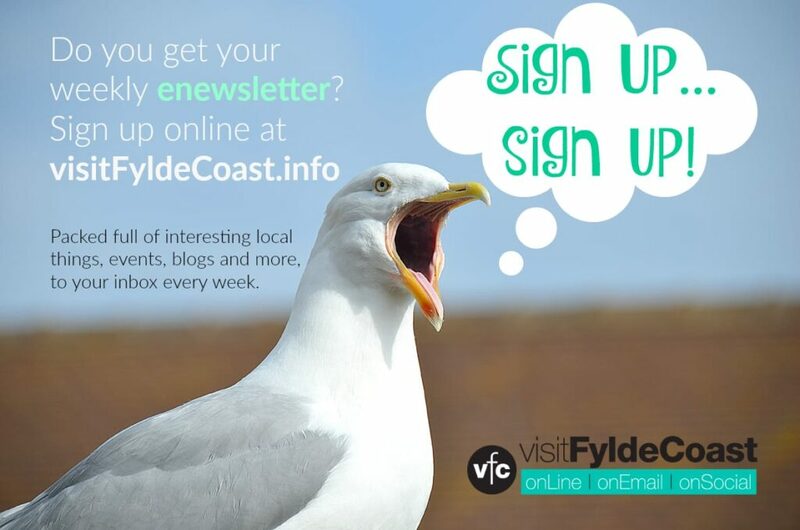 There’s a fair amount of activity out in the bit of Irish Sea that you can see from here on the Fylde Coast. Assorted rigs and masts come and go, along with all of the vessels which erect and maintain the wind farms. You’ll also see the large ferries sailing in and out of Heysham to the Isle of Man and Ireland. 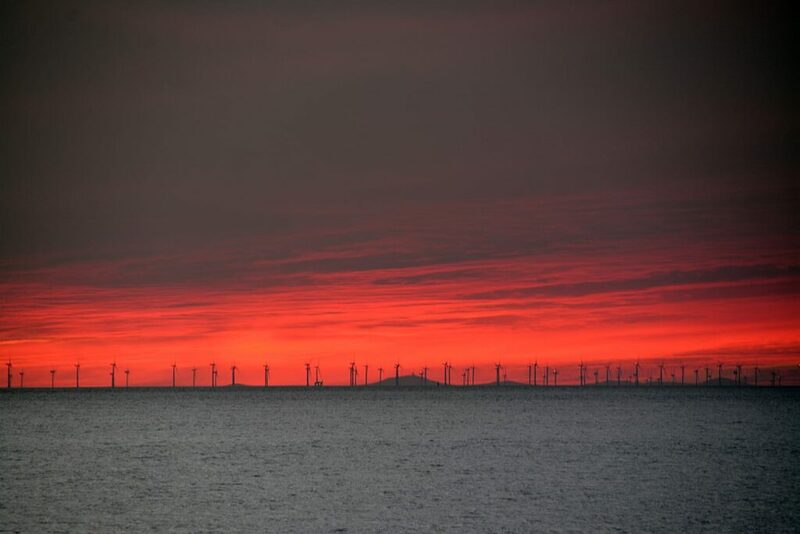 If you’re really lucky, on a clear evening at sunset, you might see the Isle of Man.  You’ve got more chance of catching it at the northern end of Blackpool seafront – at North Shore or in the Bispham area. You need to be looking in the direction of the windfarms, and the hills will be lit up by the sinking sun. You can see them at sunset because of a mirage, created by the light conditions at that time of day. 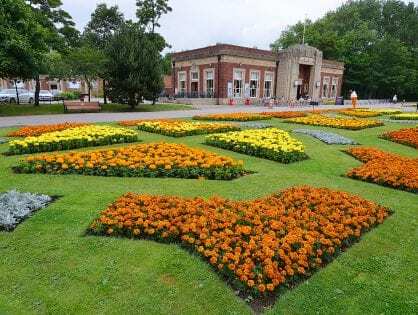 There’s a full explanation of why you can see the Isle of Man on this page on Visit Cleveleys. If you walk to the end of the Pier you can see all of Blackpool north shore (below) and right along the coast to Cleveleys, with the Lakes highlighted at your left. 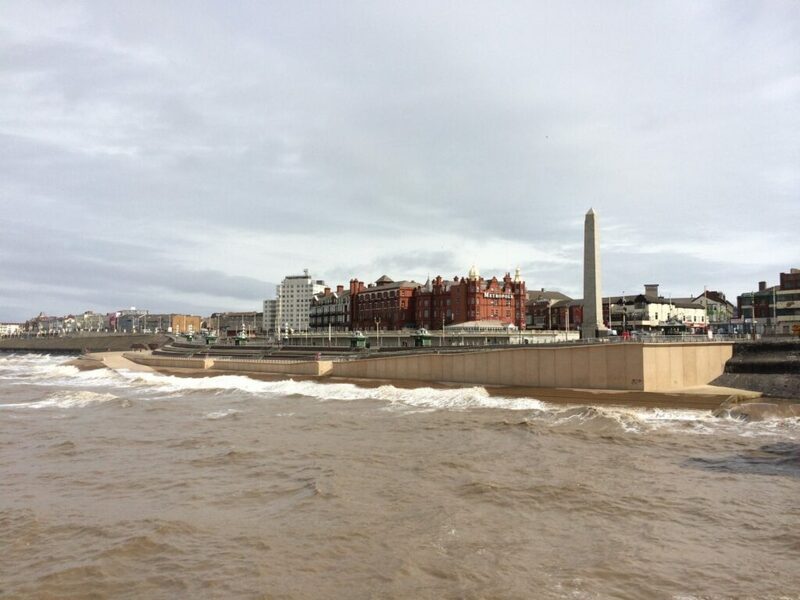 Look to your right and you’ll see all of Blackpool’s seafront up to Central Pier. The views across the sea are quite different again from this angle. Why don’t you go and take a look! 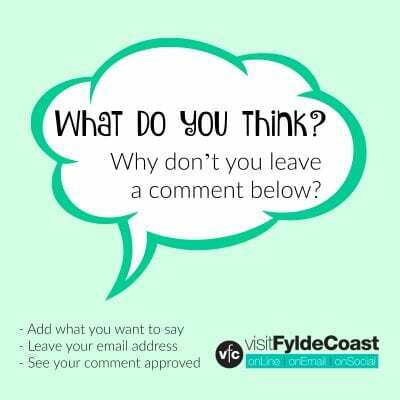 If you’ve enjoyed this page about the views across the sea from Blackpool, why don’t you join in? Send us your photos, or indeed anything you know about the view. Just email to jane@therabbitpatch.co.uk – full credit will be given.